GRP Modica Oak. This modern style Modica door features ladder-style grooved panels down the centre. 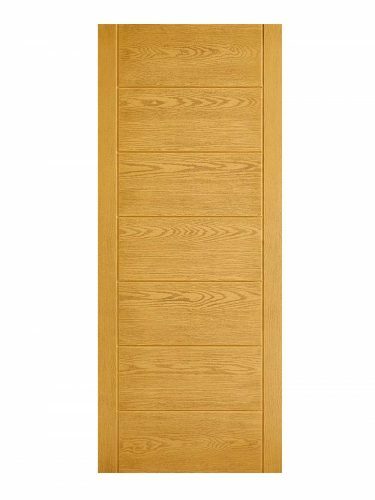 Composite door with GRP outer layer with an attractive Oak wood grain finish.